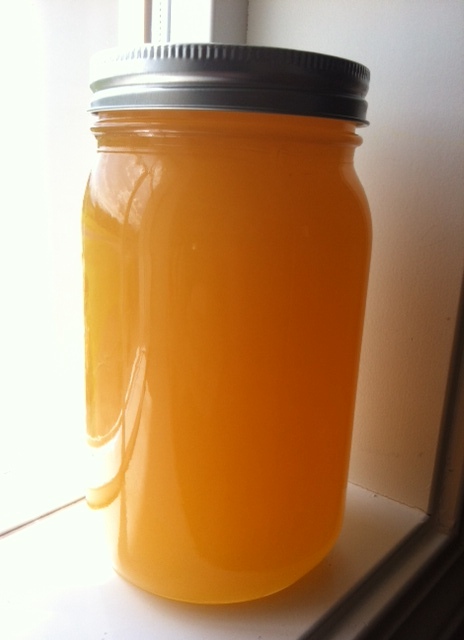 Opening our 4 gallon bucket of raw, local apple blossom honey is an event each September. We all stand around the bucket, waiting for the first whiffs of flowery sweetness. It’s creamy. I spoon it into jars to avoid using a pickaxe later after it hardens. This year we bought 2 four gallon buckets, and we are nearing the end. I had read about honey being diluted with corn syrup, so I did a little searching. Looks like that’s not the worst of it; much commercial, highly filtered honey may be imported illegally to the US from China or India and carry chemicals and heavy metals. Read this link to see the importance of leaving the pollen in the honey; it can be tracked as true honey. I will continue to purchase local raw honey in 4 gallon buckets, and supplement with Mesquite honey from Trader Joes. And no more using honey packets at restaurants.